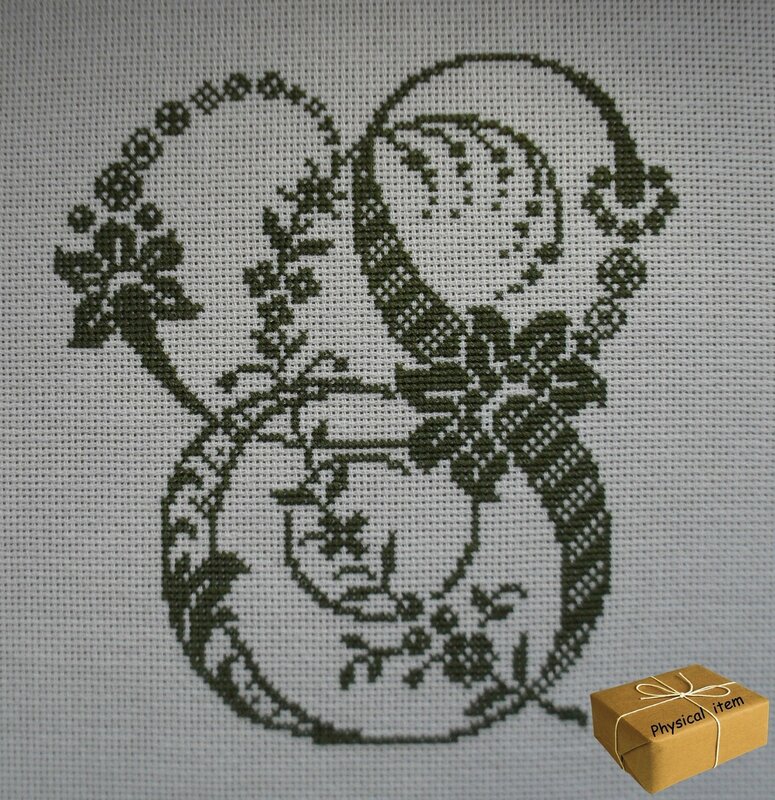 Nice elegant antique letter “S” of French design, cross-stitched by myself. It is a finished item, washed and steam-ironed. It will make a beautiful framed picture, personal Christmas gift-bag monogram, a pillowcase or a fine apron decoration. It will also decorate your patchwork and quilting projects – quilts, bags, hot-pads, etc.